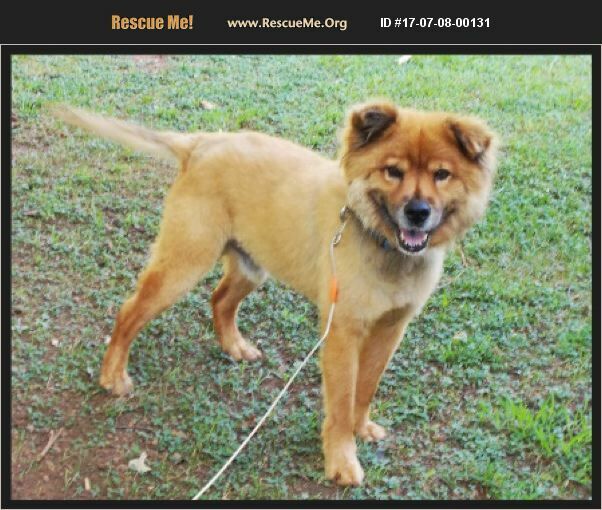 North Carolina Chow Chow Rescue View other Chow Chows for adoption. Max is a beautiful seven year-old Chow Mix. He had been on a chain for over five years, and for the past year was left in the backyard of an empty house after his owner died. He was fed daily but otherwise had no human contact. We found out that Max was never vetted during those five years and never off of the chain that we know of. Even so, when we went to get him, he was very friendly and trusting. He has started heartworm treatment and will be neutered soon. You cannot tell from the picture attached but before his 'shave' had a beautiful lush coat of hair under the dirt and fleas. Max is comfortable on a chain and panicked off of it so we are working to get him comfortable in a fence. We don't have a foster available who can keep him inside at present but he is with someone who is home and outside most of the day. We have seen no signs of aggression and he is learning to play with toys and enjoy treats. Max needs someone who will work with him to introduce him to the good life...indoor living with life off of a chain.